442 pages | 2454 Color Illus. In this lavishly illustrated full-color retrospective, discover never-before-seen photos that bring to life the people and stories behind the most popular games of all time, including Space Invaders, Pac-Man, Centipede, Donkey Kong, Asteroids, SimCity, Quake, Myst, Tomb Raider, and more. This is the inside scoop on the history, successes, tricks, and even failures of the entire electronic games industry. Acknowledgments. Introduction. Before the Beginning. The Seventies. The Eighties. The Nineties. Across the Pond. Across the Pacific. Credits and Permissions. 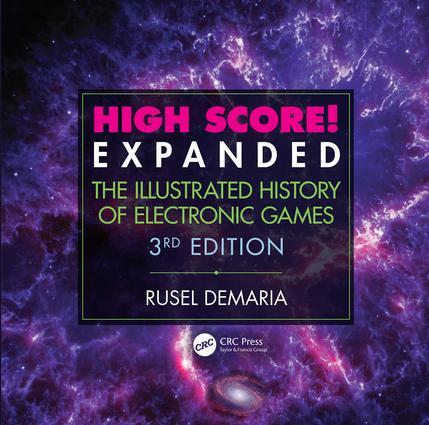 Rusel DeMaria is the author or coauthor of more than sixty books, most of them in the gaming field, including Myst: The Official Strategy Guide, which sold more than 1.2 million copies, as well as one of the most comprehensive histories of the industry, High Score! The Illustrated History of Electronic Games. He founded and served as creative director for the most successful strategy guide publishing imprint in the industry and is a former senior editor and columnist for several national video game magazines.